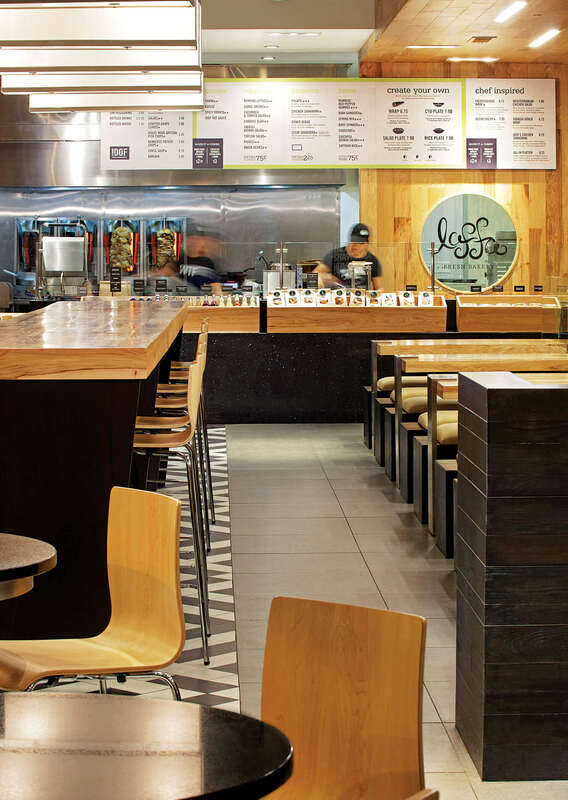 IDOF had 5 locations and a recurring dream of fresh Mediterranean food when they contacted us in 2013 to help them with the design of their quick serve restaurants. 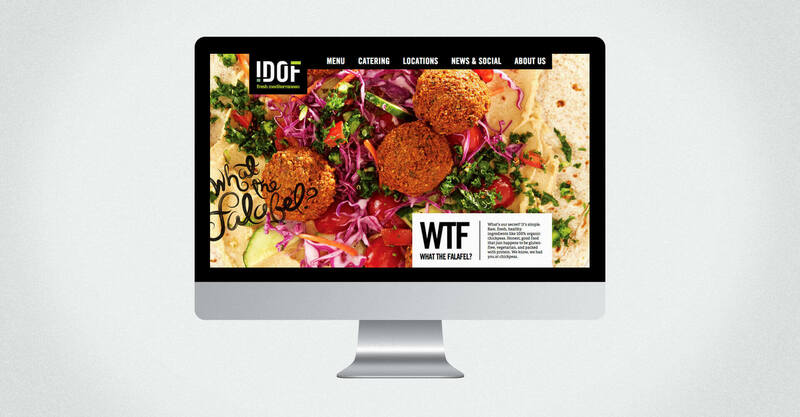 Their I Dream of Falafel restaurants took their name and design cues from the 60’s television show I Dream of Jeannie. 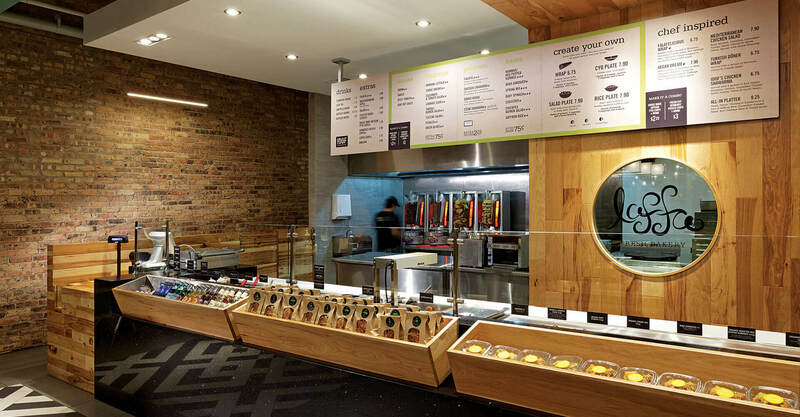 It lacked food quality and lifestyle cues that it needed to appeal to an increasingly quality-conscious consumer base, and they were looking to develop a franchise model that they could use to expand their operations. When they first launched I Dream of Falafel in 2009, there was not much competition in the fresh, middle eastern food category. 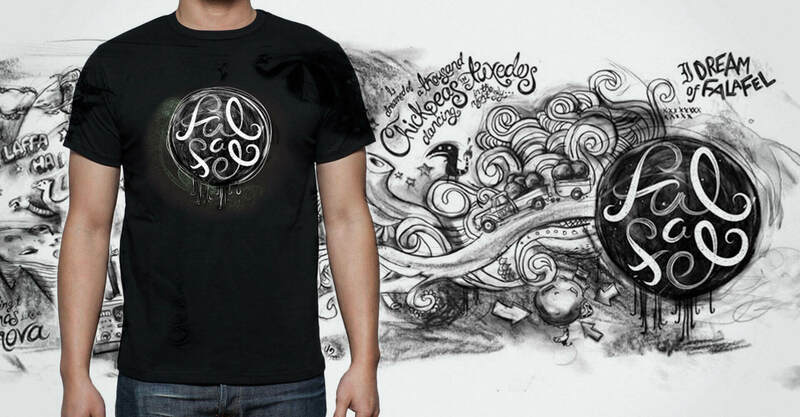 Since then, a number of similar concepts had entered the market. These new competitors were branded concepts that, despite I Dream of Falafel’s first-to-market position, threatened their business. 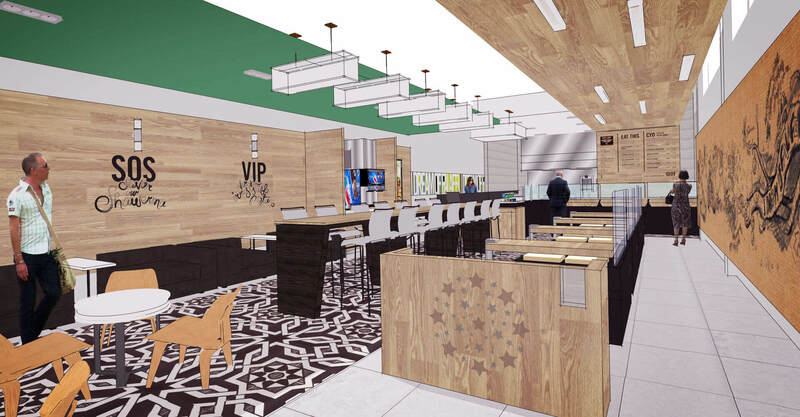 These new competitors forced them to innovate and be more responsive to their customers, and they looked to us to help them re-establish their brand as the premier quick serve middle eastern food restaurant in Chicago. The name was a problem. While I Dream of Falafel evoked middle eastern brand cues, it did it in a way that was dated and not relevant to their core customer base, being a reference to a television show that most of them have never heard of. Furthermore, it was lengthy and difficult to say, had the potential to alienate guests of non-middle eastern descent, and spoke to only a single dish in their diverse menu. 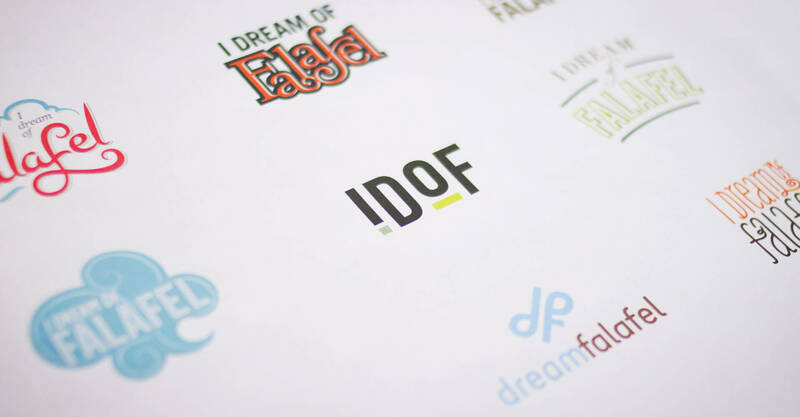 Since it was already being shortened on social media by their loyal customers they seized the opportunity to give those brand supporters a voice, and I Dream of Falafel became IDOF. 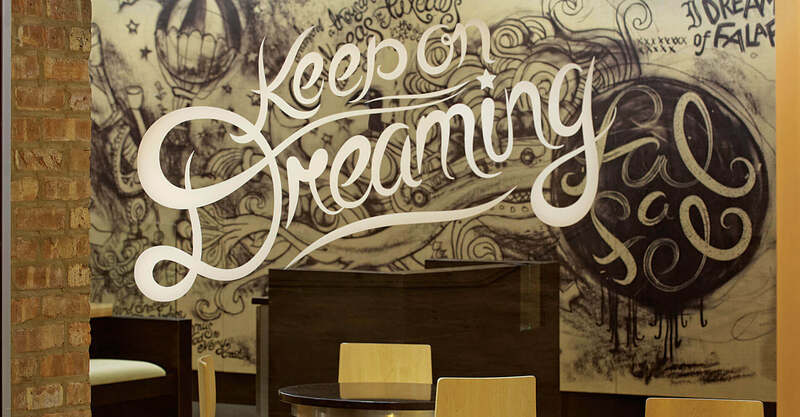 The rename gave them permission to reference the “I Dream Of” concept in the restaurant interior, in a more sophisticated execution. 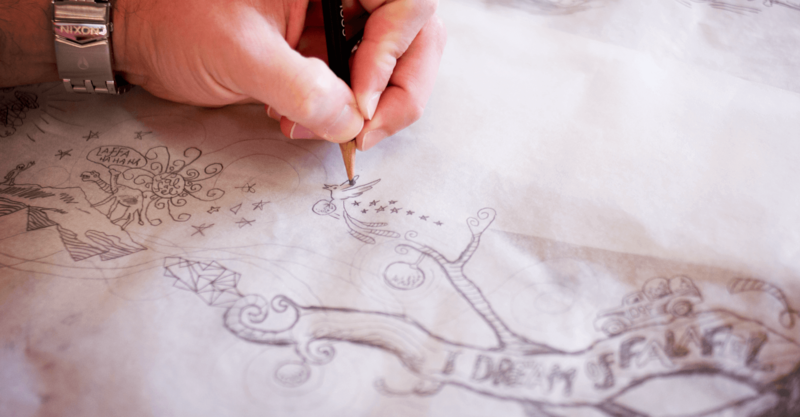 Sketches of animals flying, chickens riding motorcycles and flying saucers, and dreamscape visuals and messaging are all part of the graphics package. 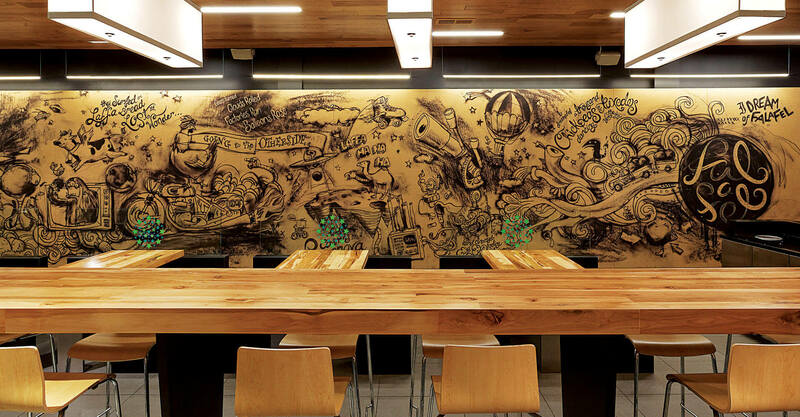 These quirky dream moments were conceptually developed in our studio, then outsourced to an illustrator for development before we applied them to 40-foot-long sheets of burlap to be mounted in the environment. 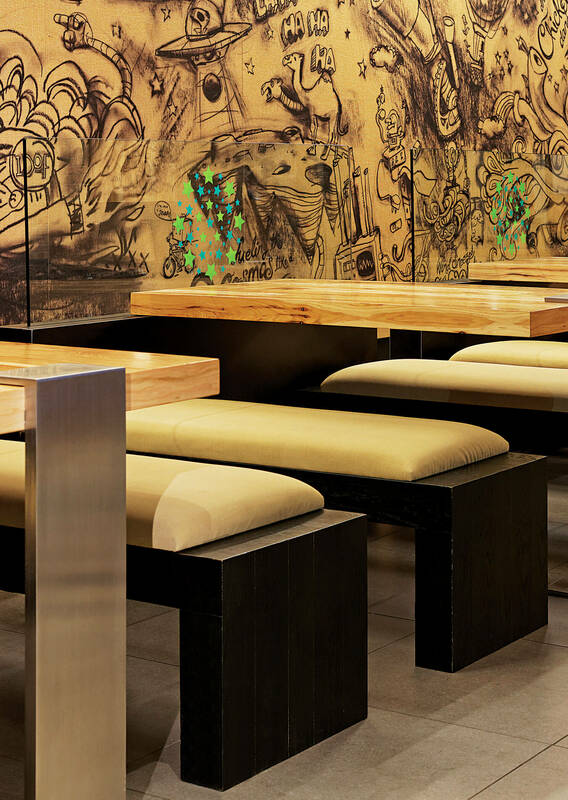 The space feels modern but is reflective of the food – elements in the flooring have middle eastern cues, and the hole through to the kitchen and bakery feels traditional. The use of wood in the environment warms it up, whereas the brushed steel and glass detailing again strikes a modern chord. 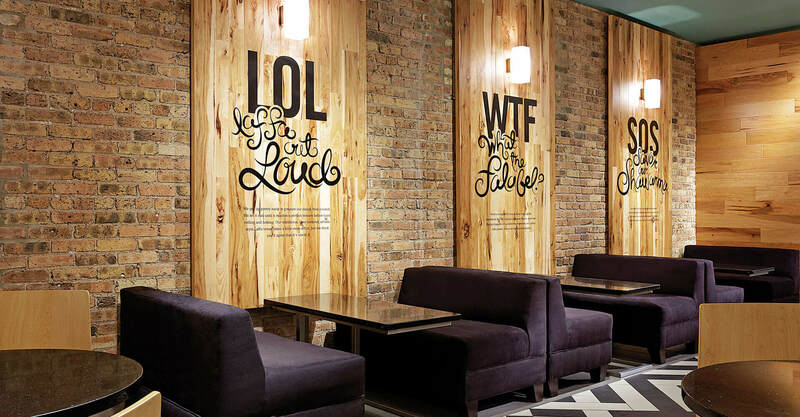 Signage and messaging in the space derives from popular social media messaging with an IDOF twist – LOL (laffa out loud), WTF (what the falafel?) 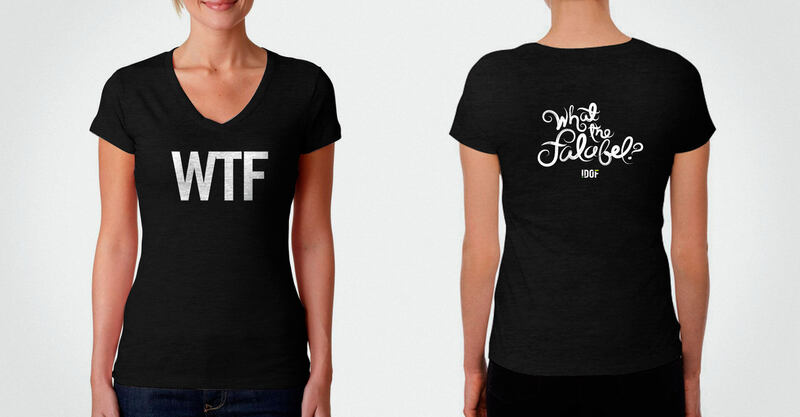 and SOS (savor our shawarma). 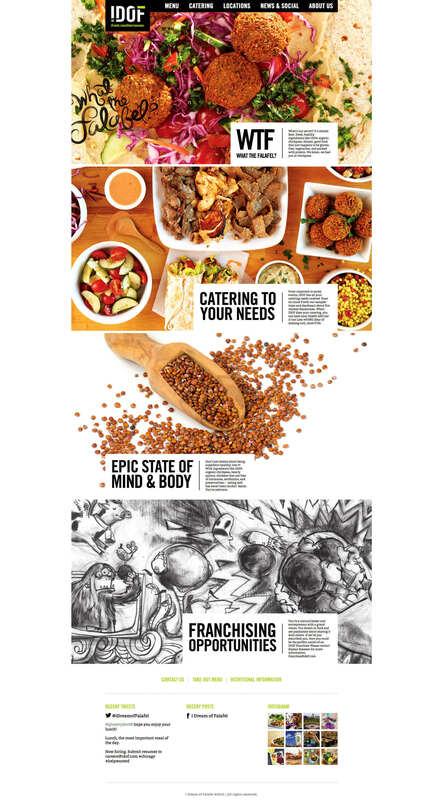 These all provided IDOF with opportunities to talk about the food in a fun, fresh contemporary way. The website really dials up the food quality, with large overhead food photography highlighting the freshness and appetite appeal of the various dishes and sides. 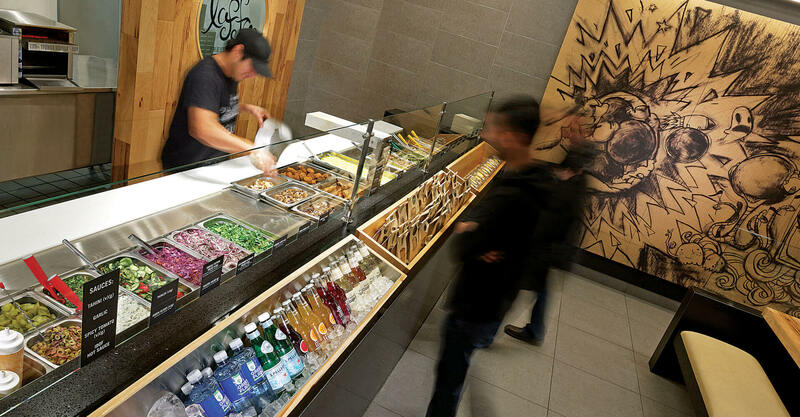 It reiterates much of the messaging in the restaurant interior for brand consistency, but positions IDOF as a leader in freshness and eating healthy. 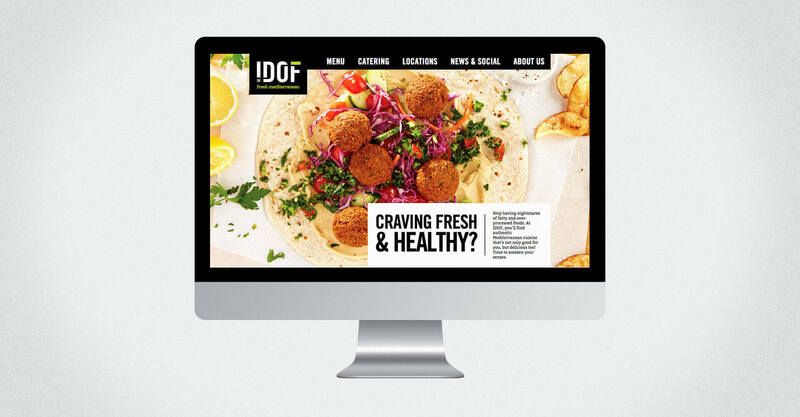 The redesign vaulted IDOF past its competition and made their brand more defensible. 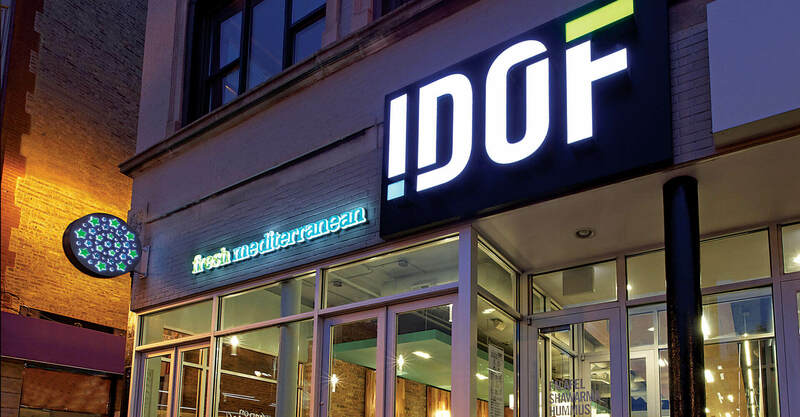 The flagship restaurant is located in the Wrigleyville area of Chicago, and IDOF continues to roll the concept out to its other locations.